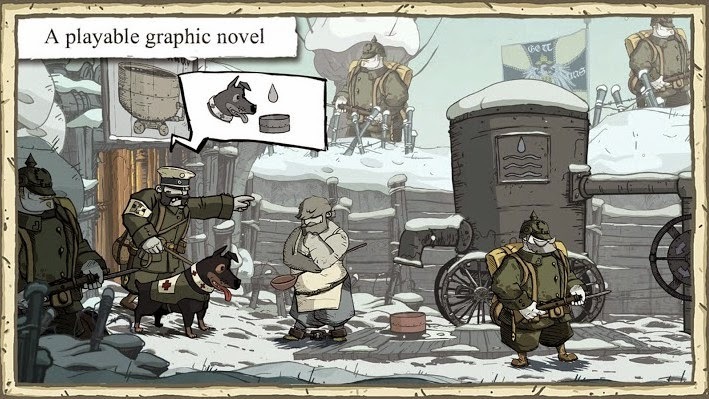 We just updated the download links for Valiant Hearts The Great War (full version) apk. 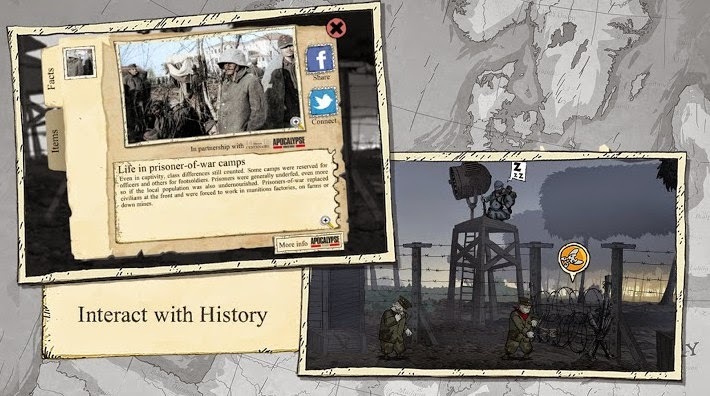 The game is an epic interactive graphic novel with an epic storyline of WW1 heroes combining action, puzzles and adventure genres. Update 1.0.4 features some behind the scene optimizations to improve your gameplay experience! 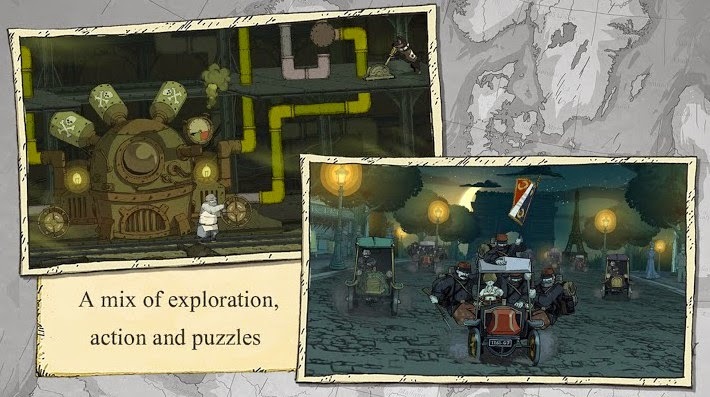 This is a 4-part, episodic game inspired by letters from World War 1. Initial app purchase includes Episode 1. Episodes 2-4 are available as multipack or individual in-app purchases. - An emotional interactive adventure game delivered with a unique tone and art style. 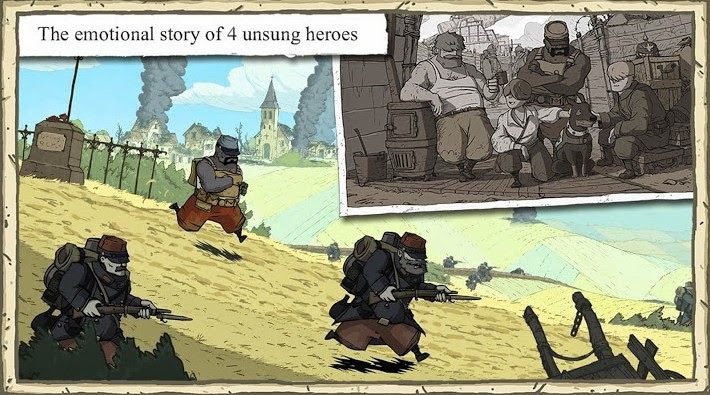 - Lost in a maze of trenches, play each of these Valiant Hearts characters' story and help a young German soldier find his love! All of them will be helped by their faithful canine companion, Walt. - Relive the Great War in this fictitious story which takes you back to famous WW1 locations, revisiting historical battles on the Western Front, such as the Battle of the Marne or the Battle of the Somme! - In partnership with Apocalypse World War 1 and the Mission Centenaire 14-18, learn more about the Great War through historical articles and share them with friends. NOTE: we reuploaded the game because download links were down due to DMCA (people kept copying them onto their websites). These are new protected links and you must wait 5 seconds then "Skip Ad" to download! Thanks for your understanding! Install Apk, Extract SD Data and copy ‘com.ubisoft.adventure.valiant_hearts_ggtv’ folder to sdcard/Android/obb, Launch the Game!